Stewart’s HQ is in Post Oak Central. HOUSTON—(Realty News Report) —Houston-based Stewart Information Services Corp. will be acquired by Fidelity National Financial, for $1.2 billion, the companies announced in a press release Monday. Stewart, which was founded in Galveston in 1893, has 20 Stewart locations in the Houston area, where thousands of real estate transactions have closed over the years. The firm offers title insurance policies and escrow services in 80 countries. Under the terms of the agreement which has been unanimously approved by Stewart’s Board of Directors, Stewart shareholders will receive $25.00 in cash and 0.6425 common shares of Fidelity for each share of Stewart common stock they hold at closing. Stewart’s headquarters have been in the Post Oak Central project for many years. 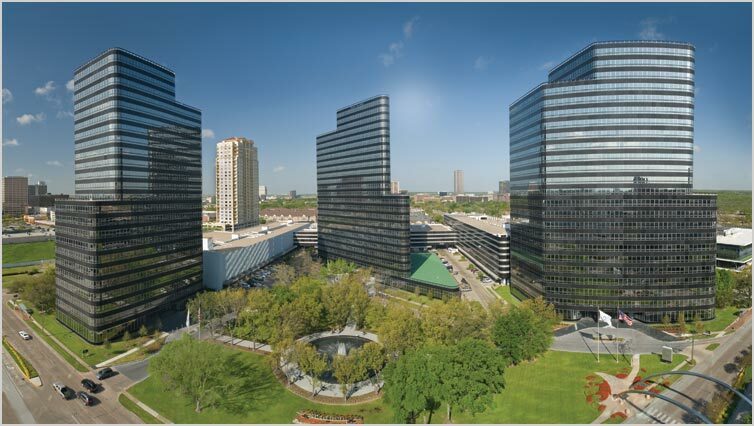 But the firm recently announced it was moving into 156,000 SF of sublease space in Four Oaks Place in midyear 2019.